Longtime racer Curtis Gerry, the defending 250 champion, has emerged in the last two years as the region's most dominant driver. OXFORD — There was a time when Curtis Gerry was simply happy to be part of the Oxford 250. Now, everyone else is just happy to in the same class as his No. 7 at Oxford Plains Speedway. Gerry, 47, enters Sunday’s 45th annual Clark’s Scrap Metals Oxford 250 as one of the favorites – if not the favorite – to win the race. 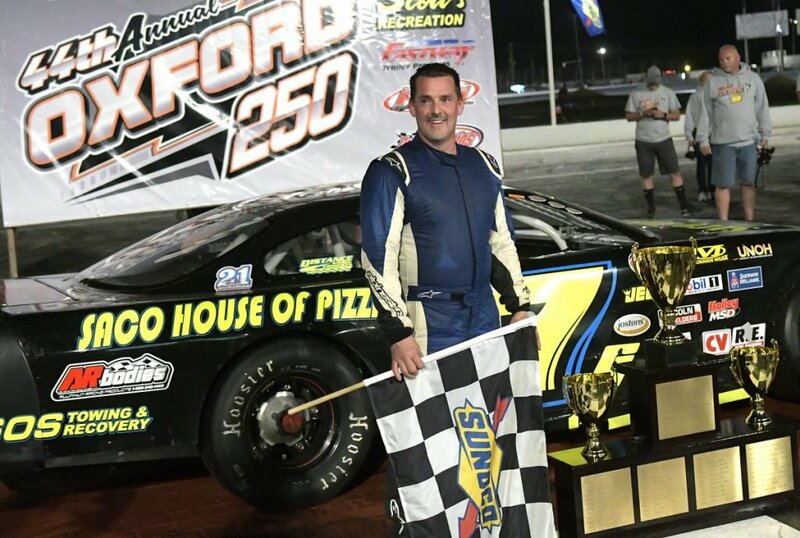 The Waterboro driver is the defending champion, and his win last August kicked off a stretch of five consecutive Pro All Stars Series victories at Oxford Plains heading into the weekend. No PASS driver had ever won five races in a row on the same track. His success has caught the attention of his fellow drivers. Manchester’s Reid Lanpher finished second to Gerry last year, and again on July 29 in the PASS 150 at Oxford. Gerry did not practice Saturday at OPS, as he was racing at Beech Ridge Motor Speedway in Scarborough. But on Friday, he opened eyes again when he laid down the fastest lap – 15.592 seconds – in a three-hour Oxford 250 practice session. But the odd part about Gerry is that he doesn’t seem all that at ease with the extra attention, particularly heading into the biggest race weekend of the year. It would be hard enough to do that as the defending Oxford 250 champion, but it’s a task that’s nearly impossible after winning four of the five PASS races he’s entered this season. He also won at Beech Ridge in April and finished second at his home track in July. A new Distance Racing car in 2016 turned Gerry’s career in the right direction, from also-ran to dominator. He’s won six of 11 PASS races he’s entered since the beginning of the 2017 season, with 10 top-five finishes. Prior to that, he’d managed just two top-10s in 60 PASS races dating back to 2004. “There’s times when you go (to the 250) and think you’ll be happy just to qualify and be in the show,” Gerry said. “I’ve been there. I’d run probably six of these (Oxford 250s) before and been that way. There were plenty of times I just wanted to make it in. Last year we were pretty confident we’d make it. We knew if everything worked out well, we could end up winning. But to pull it off is another story. Humbling, perhaps, but it comes with the attention the soft-spoken Gerry loathes. Another win Sunday would put him in select company with only five other back-to-back 250 winners.